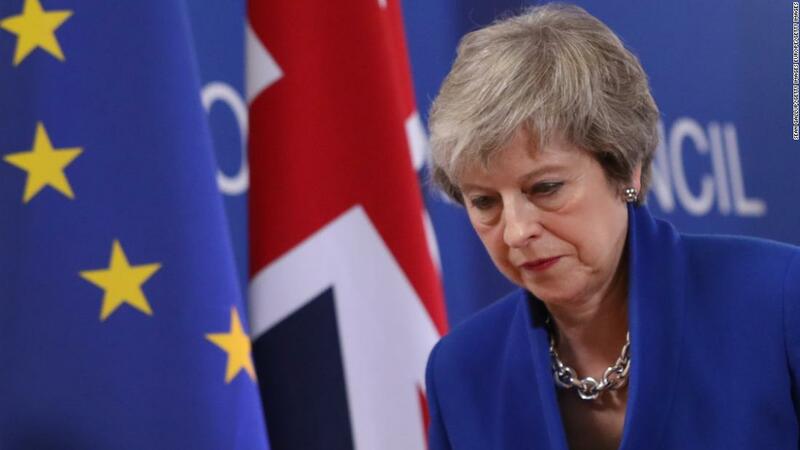 London (CNN) Just 24 hours after incurring a historic parliamentary defeat, British Prime Minister Theresa May faces another challenge to her premiership: A vote of no confidence in her government. Pro-Brexit Conservative MPs don’t like the prime minister’s deal to withdraw from the European Union, but they really hate the prospect of a Labour government under the hard-left Jeremy Corbyn. If the prime minister were seeking a crumb of comfort after her agreement was rejected in the Commons by a crushing 432 votes to 202, it is this. She is likely to win the confidence vote introduced by Corbyn and supported by other opposition parties. Brexiteer Conservative MPs and the DUP, the Northern Irish party on which May relies for a majority in the Commons, have made clear they will support the government in the vote at around 1900 GMT on Wednesday. If the government loses, it (or an alternative government) has two weeks to gain the confidence of the House of Commons by winning a confidence motion. Otherwise, a general election must be called. Despite voting against her Brexit deal, rebels in May’s Conservative Party are expected to back her in the no confidence vote, as will the DUP, the Northern Irish party on which she relies for a Commons majority. If the government survives, May plans to return to Parliament on Monday with an alternative Brexit plan. However, the EU insists it won’t renegotiate the terms of the withdrawal agreement. If her government is toppled, Labour policy is to push for a fresh general election before then calling for a second referendum. But this does not mean they believe she is the right person to see Brexit through. Rather, they will take advantage of her hugely weakened authority to campaign for a harder Brexit — or even, as some Conservative MPs hope, a “no deal” departure. Likewise, Remain-supporting Tories will push for a softer Brexit deal — one that can win the support of MPs of all parties. Even though May is certain to win the confidence vote, the fact that it is taking place at all is historic and hugely damaging to a sitting prime minister. On Tuesday evening, she made clear she was not about to resign voluntarily, even though this might normally be expected after a defeat of such magnitude. Her strategy, after winning the confidence vote as expected Wednesday evening, is to return to the Commons next Monday with an alternative Brexit plan that can test the mood of Parliament. She has said that if she wins the vote she will listen to the concerns of its MPs. The problem is that the EU must approve any changes to the withdrawal agreement, which was hammered out over two years of fraught negotiations and finally struck in November. It is not something that can be tweaked in less than a week. The mood in Brussels is as unbending as is May’s refusal to stand down. Reports from the European Commission were that EU leaders will fiercely resist reopening the withdrawal agreement to allow changes and will block any attempt to set a time limit, a key Brexiteer demand, on the contentious Northern Ireland backstop — the insurance policy that avoids a hard border in Ireland. May’s allies also believe that the withdrawal agreement cannot be renegotiated with the EU. 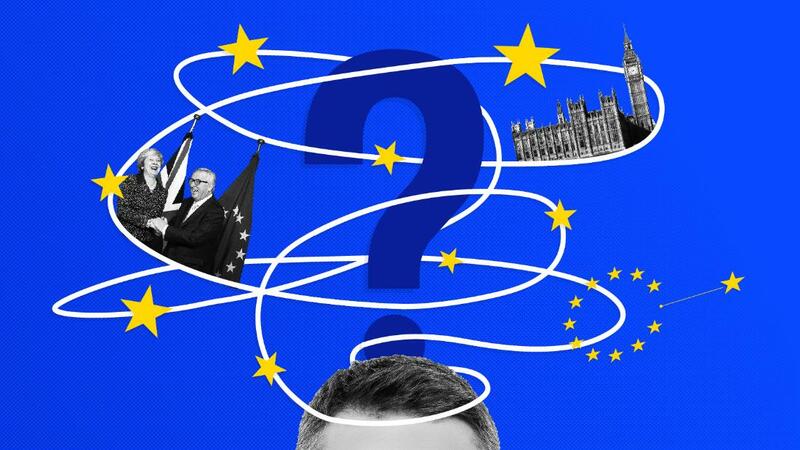 Many MPs and British voters believe the solution is indeed staying in the EU, or at least holding a second referendum to save the country, as they see it, from a bad Brexit. This is also the view of the Scottish National Party, which governs Scotland, and the smaller opposition parties. Official Labour policy is to push for a fresh general election first, before then calling for a second referendum, but as many as 100 of its MPs are reportedly planning explicitly to call Wednesday for a second referendum. The SNP is demanding an extension of Article 50, the process which sets the timetable for departure from the EU on March 29th, to allow more time for negotiations. Although official SNP policy favors another referendum, delaying the departure date increases the chances of no Brexit at all. May has insisted she still wants the UK to leave as scheduled on March 29, although she has hinted that the deadline could be extended. But with little sign of an end to the deadlock, no-one is any clearer on what an extension can achieve. And this means that, as it stands, Britain will leave the EU without any deal.